Father’s Day will be here in the blink of an eye, and, next to Mother’s Day, it’s one of the most important holidays of the year. 🙂 So, what are you going to get dad this Father’s Day? Picking a gift can be difficult. If your dad is all tough and macho you may be tempted to get something manly or even a bit generic. However, trust me, your dad would love something straight from the heart that lets him know just how great he is and how much he has influenced your life. Bonus: You can’t really go wrong here-your dad is bound to love anything you get him because he loves you! For some DIY gift inspiration, check out this article with 25 of the best DIY Father’s Day craft ideas. Once you’ve got the gift under control, it’s time to think about the card. Instead of purchasing an expensive, generic card from the store, why not make your dad a heartfelt card? Try these Free Printable Father’s Day Cards on for size. 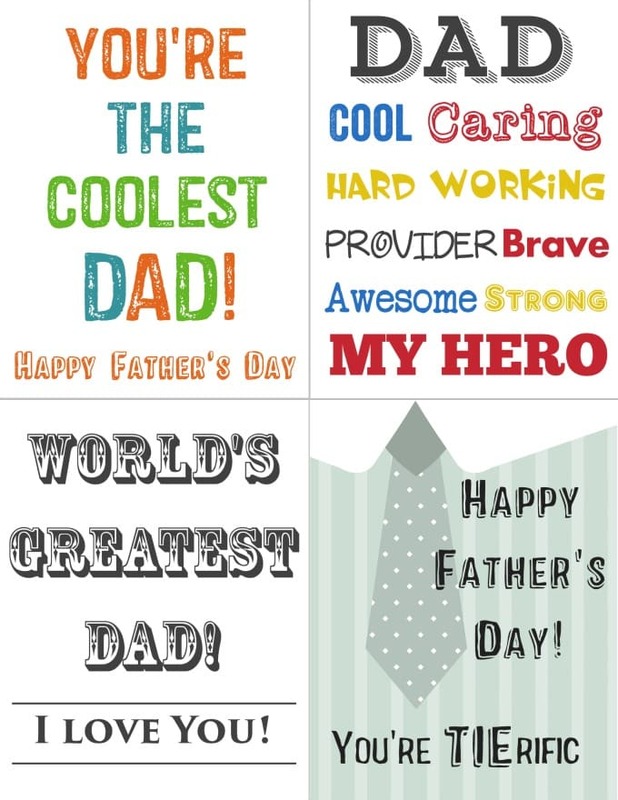 Simply print these free printable Father’s Day cards, then cut out the one you want, add a few personal touches like a heartfelt note and voila you’ve got a great Father’s Day card. You get to save money and your amazing dad gets a unique card. 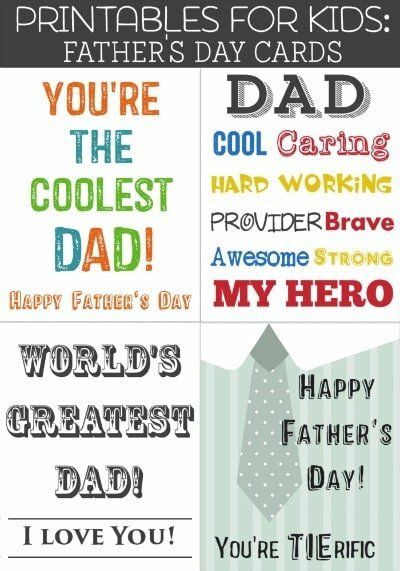 Plus, with these free printable Father’s Day cards you don’t have to be Martha Stewart to get a great looking card. For more fun freebies, follow Freebie Finding Mom’s Freebies Pinterest board. Have you ever made your dad a homemade Father’s Day card or do you know of other great free printable Father’s Day cards? Share your experiences and ideas in the comments! Thank you for sharing these. My daughter and I love to make our own cards. These would be great to cut out and add to fun cardstock, just add a few embellishments and WALLAH! A beautiful, personalized Father’s Day card! what a super idea…especially if kids don’t have the money to ‘buy’ a card, this is a great alternative. Great printables!! Thank you for sharing.